Our Open Cell Spray Foam is a two-component water blown spray foam. When its two components mix they react instantly and expand into a low-density, open cell foam with an in-place core density of 0.45 – 0.55 pound per cubic foot. Open Cell Foam provides thermal insulation for the interior of buildings. Open Cell also only reduces air infiltration, where Closed Cell Foam Systems stop it. 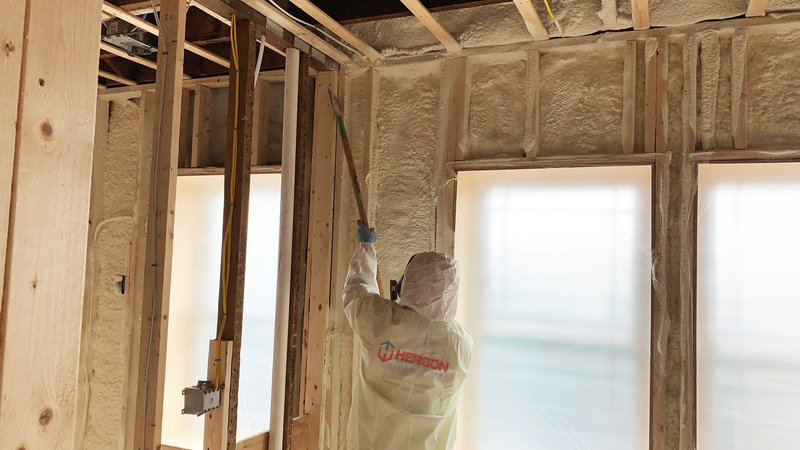 Hergon Insulation applies Open Cell ½ lb. Foam Systems into open-wall cavities, crawl- spaces, perimeter joists (any exposed rim or band-joist), cathedral/sloped ceilings at a heat resistance rating of R-3.6 per inch. While the product must be installed to local code, the amount of application varies. 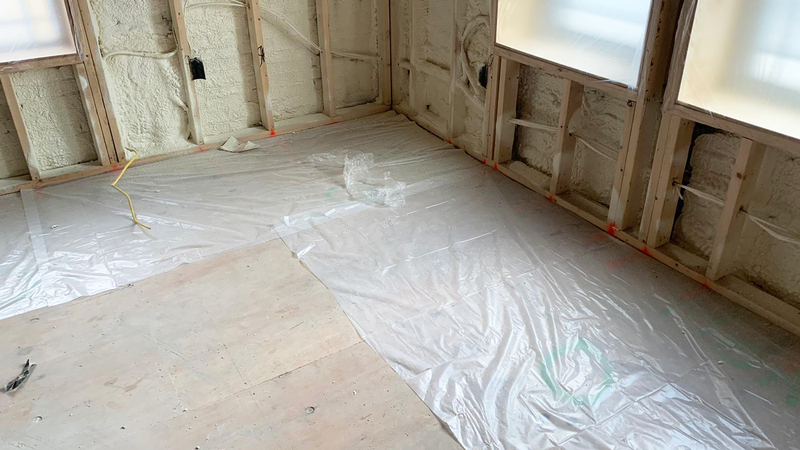 All Open Cell Foam systems also require a vapor diffusion retarder (vapor barrier) after application. This system fully cures to touch within 15-seconds. During application, all surfaces must be free of oil, grease, and debris. The surface must be dry as well. When applying Open Cell Foam the working area temperature must be a minimum of 40-degrees Fahrenheit. Unfortunately, Spray Foam systems cannot be installed into existing homes, unless the un- insulated surface is completely exposed. In carrying half of the R-value in that of Closed Cell Foam, Open Cell also lacks performance in condensation or moisture prone areas. Where Closed Cell Foam completely turns away and repels the moisture, Open Cell will absorb it into its sponge-like surface. Open Cell Foam must be applied in much more thickness than Closed Cell Foam because of its low R-value rating however it is consistently considered as the next best insulation behind Closed Cell. Considered a semi-rigid foam, it adds minor structural strength to your home or building while still filling every nook and cranny, sealing all voids from the outside elements. Just a Few Characteristics of ½ lb. Seals Every Nook and Cranny when applied correctly closing off possible air leaks or existing air leakage areas. Seals around recessed lighting, electrical outlet boxes, wiring intrusions and all bypasses.